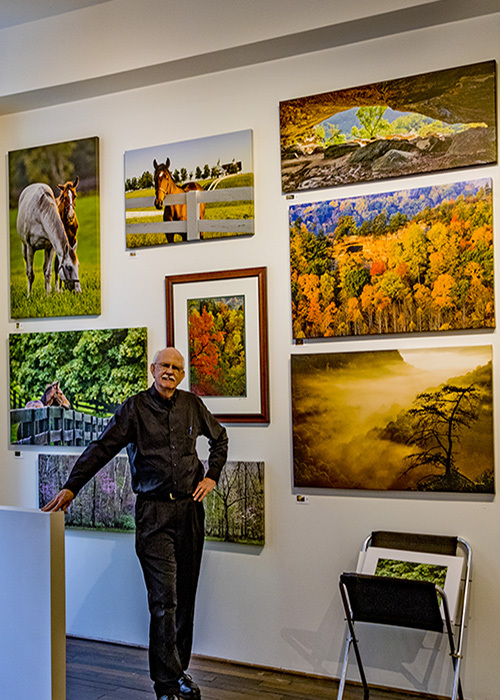 What's happening with John W. Snell Photography as of May 5th, 2018? 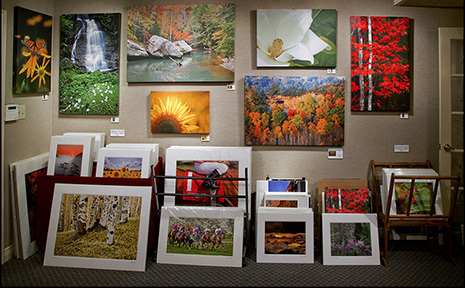 Check out my exhibit at the Craft(s) Gallery & Mercantile in Louisville. 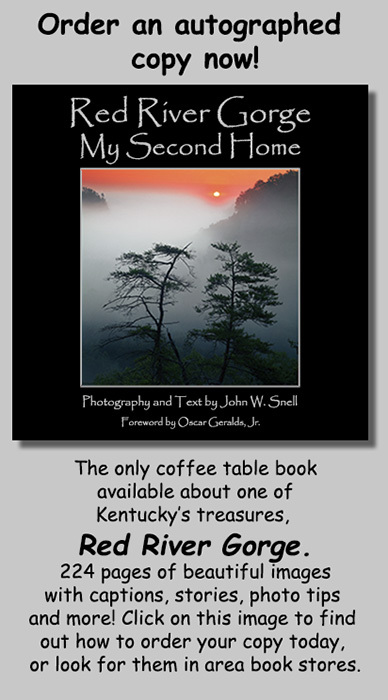 Also, plenty of copies of the Red River Gorge Book still available! (Click the book image above for order form.). 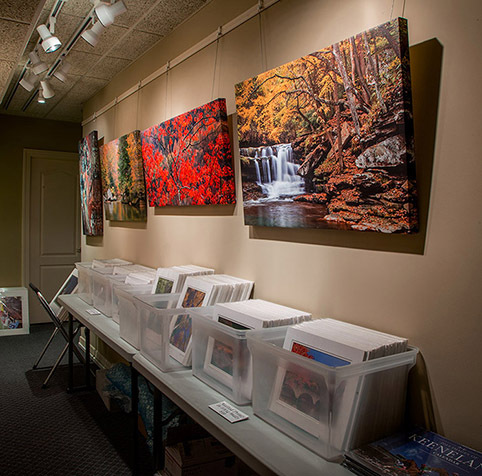 You have entered the photographic realm of Lexington, Kentucky photographer John W. Snell. On these pages, you'll experience some of the most beautiful places in America. Some images are snapshots, but most are my attempt to present new and unique vignettes of those places. Ever since 1980, when I traded a friend $100 and two pickup truckloads of firewood for an old Minolta camera and two lenses, my life has not been the same. Each year, I spend numerous hours lugging heavy camera equipment through various venues, most often Red River Gorge in eastern Kentucky, searching for expressions of nature that speak to me in a special way. Sometimes I succeed photographically, but many times I just enjoy the walk in the woods...the mountains...beside streams and waterfalls. The effort is always refreshing and exciting. I trust that you'll experience some of that as you view my work. 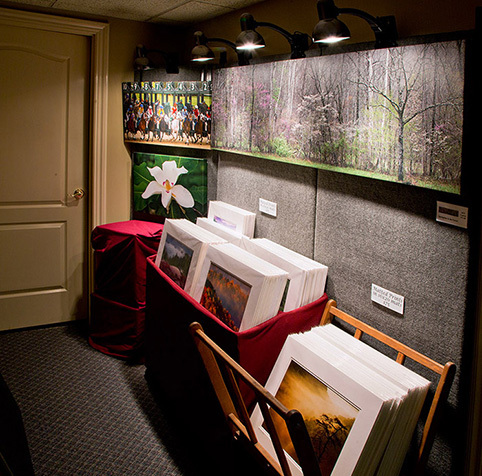 For those of you in Lexington or surrounding areas, I have a photo gallery in my home (See photos below). Call (859) 254-1929 or 1-888-310-4560 (toll-free) for an appointment. 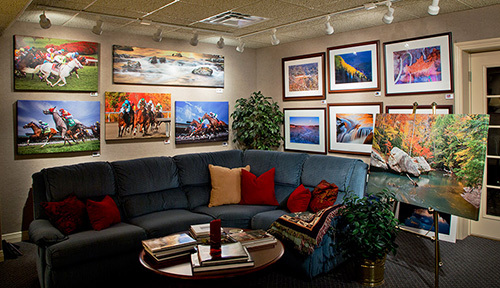 Come and enjoy my art in a very pleasant viewing environment! All images and text Copyright John W. Snell, 1999-2018. This page last updated on May 5, 2018. This site is designed to work with widely used browsers such as Internet Explorer, Safari and Firefox. It is best viewed in 1024x768 resolution.